Recent brand designs and portfolio projects. I hope you love what you see! My latest website design projects—browse around and enjoy! Seeking branding and business tips? We've got you covered! Hello, friend! 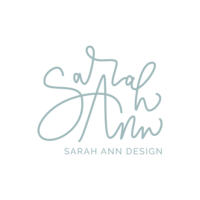 I'm Sarah... designer and calligrapher in a long-term love affair with letterform. Cozy up and stay awhile, won't you? Enjoy the blog! If you’re a regular around here, you’ve probably noticed a few changes: along with my own recent website update, I’ve updated my offerings to include a much-anticipated service for you: website design! Now, branding clients may choose to book a branding + web design package for an all-inclusive experience—ensuring your brand presence is seamlessly showcased online. To kick off more web design content here on the blog, I’m unveiling a website design for Calette Lifestyle Magazine. You might recall this brand design—it was a portfolio project from awhile back. Now, all the design elements associated with the Calette brand have been brought to life online: logo design and icons, custom patterns, and more… all in keeping with Calette’s earthy aesthetic. I can’t wait to dive into more website designs in the upcoming year; if you’re interested in a seamless brand and web experience, I hope you’ll inquire with me soon. 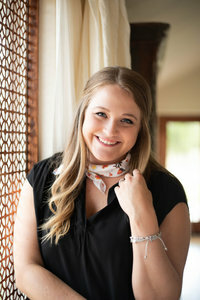 I look forward to connecting with you and learning about the heart behind your business!